Some of the biggest hazards faced by gutters and downspouts in the Toronto area are caused by cold weather. Perhaps the most serious of these occur when they become blocked with ice. This can often damage their structural integrity and increase their mass, causing further damage to the home. Once an eavestrough installation is blocked, it can easily lead to flooding and other major problems. Regrettably, there is no easy fix for gutters and downspouts that are blocked up with ice. Leave the Axe in the Garage – No matter how natural it seems to try to chip the ice away using an axe or a pick, and no matter how careful and skillful you believe yourself to be, this is usually a recipe for disaster. Ice can be tough to shift and you’ll have to put your back into it to make any progress. 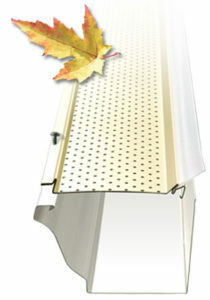 Even catching the surface of the gutter or downspout can result in its destruction. The ice is tough to shift, but it is very easy to smash your eavestrough installation with an axe or a pick. Don’t Try to Melt the Ice by Yourself – While this approach admittedly seems smarter than using brute force to fix the problem, it is likely to be ineffective and could still have damaging results. Attempting to melt the ice with salt and other substances, will lead to an increase in volume and further flooding. It is likely that your drains will remain full and simply refreeze the following night. Don’t Hire Uninsured Cowboys – Choosing to go with a professional is a good option, but you must beware of the many cowboys floating around in the winter months. They will tell you that they are insured and offer to clear the ice from your eavestrough installation at what seems like a good price. If things go wrong, however (as they often do with cowboys) – you’re going to have to pick up the bill when you find they have vanished and didn’t have cover in the first place. Always ask to see insurance documents. Avoiding these three courses of action could mean you dodge a second bullet when spring comes around. But is there a way for you to dodge the first bullet in the first place? As it turns out, there is: At the end of fall, when the last leaves have fallen from the trees, you should make sure your eavestrough installation is cleaned thoroughly. Debris in drains freezes and prevents water from passing through. Once that happens, thawing becomes very difficult. No matter where you live, ensuring your drains are cleaned professionally at least twice a year, is the best way to prevent ice blockages, flooding and damage in the winter. If it’s too late for that, make sure you choose a reputable tradesperson to deal with the emergency. 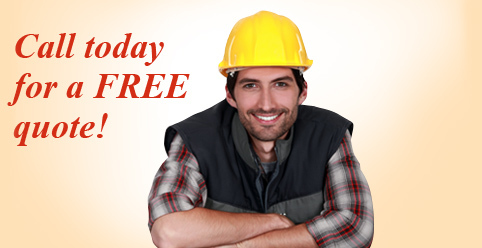 Check their licensing and insurance – including workers’ compensation. If they cause an injury, you don’t want to be held liable. When it comes to eavestrough installation, most DIYers and home renovation enthusiasts will put down their tools and pick up the phone to call a professional contractor. The first reason for this is that installing an eavestrough can be tricky to get right. 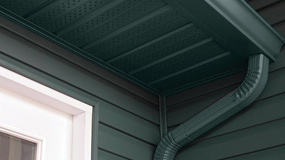 In addition to getting the spacing and fitting right, it’s absolutely essential to ensure that all joints are properly sealed, and that the whole eavestrough is fixed at just the right angle to ensure the right amount of flow. There Are Several Eavestrough Installation Companies in the GTA – How Do You Know Which One to Choose? How Will Your Existing Roof Warranty Be Affected? – Obviously the answer to this question differs for each particular situation. You’ll need to dig out your roof warranty and find out what stipulations are made about any modifications. Quite often, if the eavestrough installation disturbs the roofline, your warranty can become void. You’ll need to discuss this with your contractor and ensure that you are both conscious of how the work could affect your existing warranty. How Long Will it Take? – This is a pretty straightforward question on the face of it. Unless your house is particularly large, has awkward access or requires some kind of specialist approach, your eavestrough installation should be completed within a day. As we well know, however, the weather in the Toronto area can occasionally deteriorate alarmingly quickly. If the job is postponed due to the sudden onset of winter, you won’t want to wait until Spring to get the job finished. How Much Will it Cost? – Again, no two jobs are alike and there can be a big difference in price between a large and complicated job and a straightforward installation. Once the contractor has had the chance to take a look at the work that needs to be done, they should give you an itemized estimate of labour costs, materials, tax and so on. What Are the Terms of Payment? – Most contractors are likely to ask for a deposit before any work is done. After all, they have to source the materials and keep their business running at the same time. For most jobs, the deposit shouldn’t be more than one quarter of the total cost. If you are asked for more, it could mean that your contractor is experiencing liquidity issues – they may charge you a high deposit and the delay the work in favour of more lucrative contracts. Will the New Eavestroughs Be Seamless? 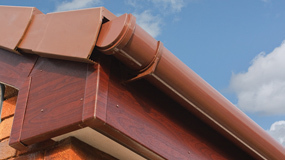 – Seamless eavestroughs are made from a single piece of material, rather than several pieces joined together. They are usually preferable to joined eavestroughs as their natural smoothness prevents dirt and leaves getting trapped and eventually contributing to blockages. In the same way, they also offer better protection against leaks. Material that is joined together is more likely to break and spring a leak than one, continuous piece of material. What is certain, when you hire a contractor to install new eavestroughs on your property, is that there is no margin for error. You need to be certain that you choose someone who will get the job done right at the first time of asking. Blockages and leaks can cause all kinds of problems which could end up costing you a lot more money. Don’t allow yourself to be swayed by very low prices – it’s standards that count in the long-run. 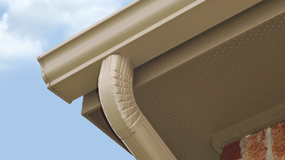 How Eavestrough installation can keep common gutter problems clear. 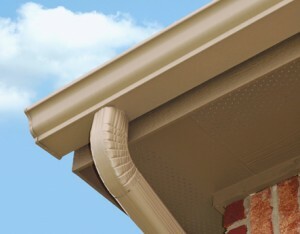 Eavestroughs have a pretty simple mandate: Catch the water that runs off the roof of your home, be it in Milton, Oakville, Burlington or Toronto and channel it to the downspouts. Rocket science it’s not. But eavestroughs are only as effective as the job that was done to install them. Hire a discount or unqualified contractor to handle your eavestrough installation and you’re opening yourself up for a host of problems that can begin almost as soon as you’ve paid the installation bill and continue for years afterward. In this post we’ll look at some of those common problems that can be averted if you have your eavestrough installation handled by the pros at Alliance Trust. Eavestroughs may seem like no big deal but poorly installed eavestroughs can cause a rash of problems that can lead to leaky roofs, unwanted pests invading your home, electrical problems, water in the basement and more. Below are some common problems with gutters that are often the result of poor or discount installations. The gutters become clogged: The most common of all gutter problems is also one that will wreak havoc with your home if it’s not cleared up quickly. Better yet avoid the problem altogether by having your eavestroughs professionally installed, including proper gutter guards, to prevent the eavestrough from becoming clogged in the first place. Discount installers often skip this feature in an effort to save money. Weak joins: Sections of eavestrough come together at what are called “joins”. If these joins are done quickly or haphazardly by inexperienced or poorly trained installers the sections of gutter can begin to separate almost as soon as the caulk is dry. The result will be water on the ground next to your foundation that may lead to excessive hydrostatic pressure on the foundation walls and water in the basement. 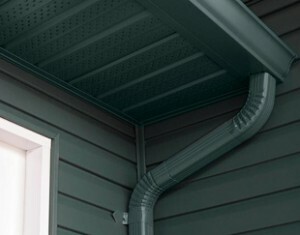 Gutters hung at the wrong angle: Gutters need to be hung at the proper angle so that water that enters them can be moved quickly and effectively toward the downspout. If the angle is too shallow water will stagnate in the eavestrough. If it’s too steep the downspout can become overwhelmed and water will spill over onto the ground. Hanging eavestroughs at the wrong angle is a common mistake less experienced installers will make. Gutters coming loose from the house: If you look up and notice your eavestrough is hanging precipitously off the house it’s because they weren’t secured properly to the fascia. This is another problem that often pops up as the result of discount eavestrough installation. Discount installers try and cut corners by not using enough hangers. But improperly supported gutters can start pulling away from the house after only a few heavy rain events. Downspouts depositing water next to the house: Eavestroughs and downspouts were invented to protect the foundation of the house. If all the water from the roof were allowed to cascade down to the ground around the foundation the house would have major basement flooding issues and perhaps become unstable as well. If the downspouts are too short and dumping water right next to the foundation you might as well not have an eavestrough system. This is another mistake made by companies trying to install gutters on the cheap. Eavestrough installation is not a glamorous subject but having it done properly is crucial to the overall health of your largest investment, your home. Make sure when you need gutter repair or replacement that you choose the company more people in Milton, Oakville, Burlington and Toronto choose to do the job right: Alliance Trust Aluminum Inc.